A child was clearly overtired and, nearing bed time, had a bit of a meltdown. This malaphor contributor predicted that she would “sleep like a light bulb tonight”. This is a great congruent conflation of “out like a light” and “sleep like a baby”, both describing a deep and restful sleep. 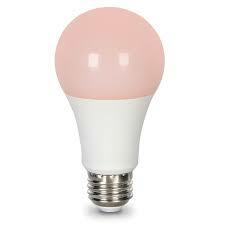 Apparently there is a light bulb that advertises as a “sleep light bulb” (pictured below). Thanks to Mary for saying this one and sending it in! Give the gift that keeps on giving – the malaphor book! “He Smokes Like a Fish and other Malaphors” is NOW available on Amazon at http://www.amazon.com/dp/0692652205. It’s the top of the notch!